So E*trade decided to buy out Capital One Sharebuilder, the consolidation will happen towards the end of the year. I’ve been looking at adding a new broker for a while. A friend of mine opened up a Robinhood account, I planned to check them out but honestly it didn’t catch my attention until they recently started offering a free share of stock. The draw to Robinhood is FREE trades. Yes, that’s right. There’s no commission. They earn their money from interest on cash balances. Yes, you get a FREE share of stock just for signing up! I’ve confirmed you don’t even have to transfer over any money, you only have to link an account. In fact you COULD sell the free stock and withdraw the money and close out your account if you want to. However, with FREE trades, I don’t think anyone would do that. So I opened an account with his link, super simple. It’s very basic and easy to use. I transferred over $500, which was available for investment immediately. This wasn’t necessary for the free reward but I plan to use my account. Two days later I was awarded a free share of stock. We’ll add 1 share of free stock to your account when your brokerage application is approved. You’ll be able to keep the stock or sell it after 2 trading days. How does Robinhood choose which stock I get? 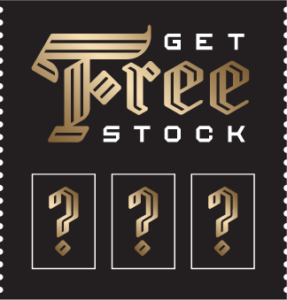 The shares of free stock are chosen randomly from our inventory of settled shares. Because the shares are chosen randomly, you may not receive the same stock as others. The value of the share you receive may be anywhere between $2.50 and $200, and fluctuates based on market movements. We choose companies based on the price of each share, from the most popular and highest total value (market capitalization) companies on Robinhood. To me this is a no-brainer. FREE trades and a FREE stock. I signed up and got a free share of CHK. Yes, it wasn’t MSFT or APPL but maybe you are luckier than I am. Can you sell the share after 2 days if you don’t want the stock, it’s a FREE trade of course. You get to pick one of the boxes and scratch it off to reveal your stock. That’s it! I’d love to hear what other people have received. I plan to use my account to buy a share or two of Apple , MSFT or another tech company each month since my portfolio weight is very low in technology. 1.) Your money is protected like a normal brokerage account. Investment accounts with Robinhood are covered by the Securities Investor Protection Corporation (SIPC), which is a nonprofit membership corporation that protects money invested in a brokerage that files for bankruptcy or encounters other financial difficulties. SIPC was created by Congress in 1970 under the Securities Investor Protection Act (SIPA), and its focus is extremely narrow. It has no authority to investigate or regulate its members – it exists only to restore investor funds (up to $500,000 for securities and cash or $250,000 for cash only per account) held by financially troubled brokerages. All Robinhood accounts are protected under the SIPC. 3.) The current promotion gives you a free stock valued from $2.50-$200. 7.) Refer a friend and you both get a free share! I’m curious if anyone has used Robinhood yet? Nice review. I’d sign-up but have already been using Robinhood for about 2 years now. Overall, we’ve been very happy with the app. As you highlighted, the functionality is somewhat basic and limited, but that’s one of the reasons that it’s effective – and free. The recent desktop offering does help somewhat. We also use the basic, free options functionality (not to be confused with Robinhood Gold). I’m glad to know you’ve used it for two years. That’s reassuring. I remember hearing about it when it came out but at the time I had 4 brokerages already. I’m going down to 3 and wanted to add another and the free stock/free trades was too much to pass up. I’m really interested in looking at what they are offering for free options trades. I’m guessing no level three options like naked puts though. I’ve been thinking of adding RobinHood to my brokerage portfolio because it’s a great way to be able to slowly add over time since there’s no commissions. One thing I can’t remember is do you have to buy in whole share amounts or can you do round dollar amounts like you could with Loyal3? I’m pretty sure you can only do whole share amounts. For me, that’s not a big deal. I’d rather have whole share amounts than fractional shares anyways. However, there’s no minimum and all trades are free. I’ve made a few trades so far, super easy to use and my funds were available instantly for investment when i set up a transfer. I think it’s worth a shot. Worst case you can sell a free share of stock and close the account if you didn’t like it. There’s not much not to like about free trades though.